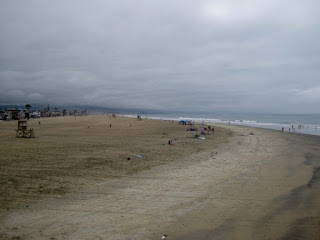 It was only a little disappointing to wake up to drizzly rain on Tuesday morning in Laguna. 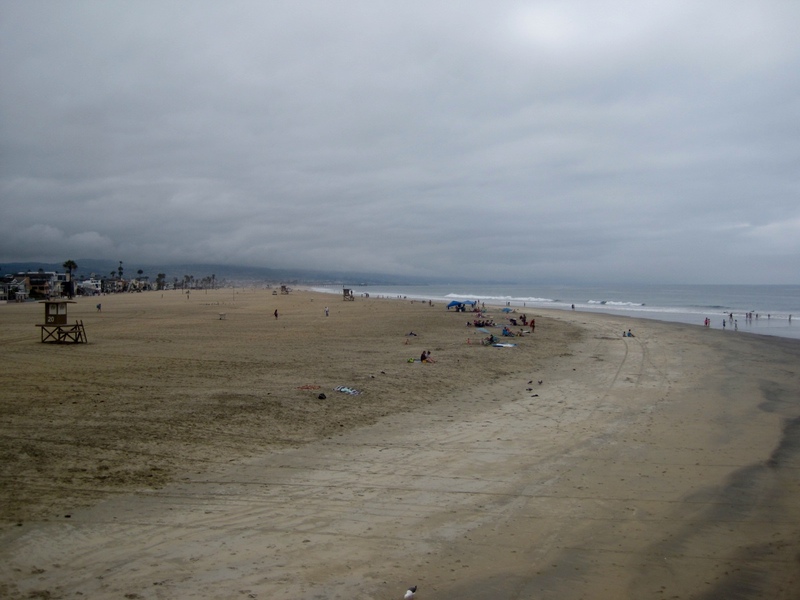 California needs rain so badly that one really can't ever begrudge the water that comes from the sky! 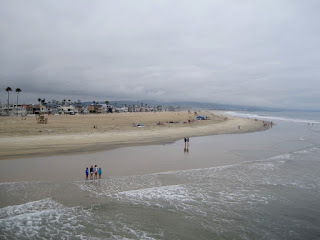 But it did change our mind about taking a walk on the beach and perhaps going for a swim. 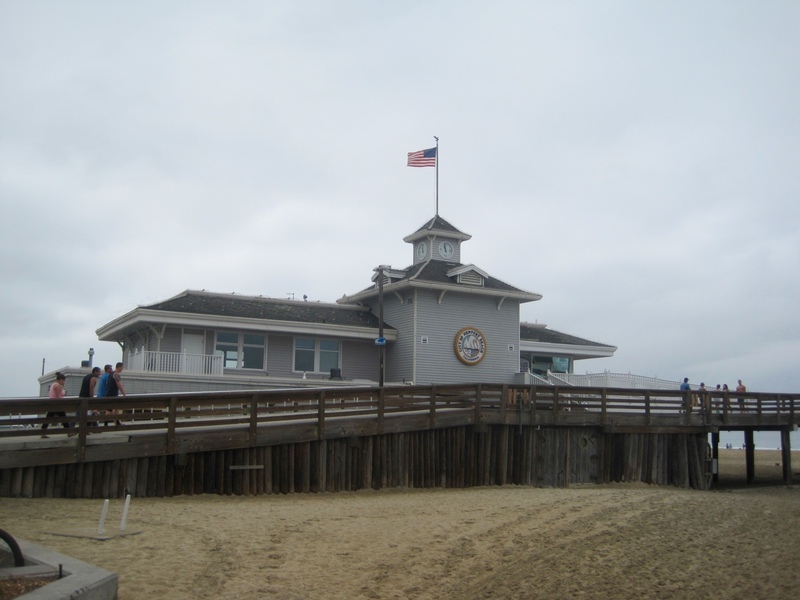 We decided to head a bit north to Balboa Island and Newport Beach where I grew up "going to the beach." Again, I cannot remember the last time I was there and I was anxious to see what it now looked like. WOW, it has changed so very much! Well, the streets and shops around the area had changed but the beach had definitely stayed the same! Big open sandy shores of sugary comfortable to walk on sand greeted us. We drove over to Balboa Island which is a darling, densely piece of paradise. There was absolutely no place to park so we just took a little joy ride through town, talking about the beach house that we'd like to rent in the future. 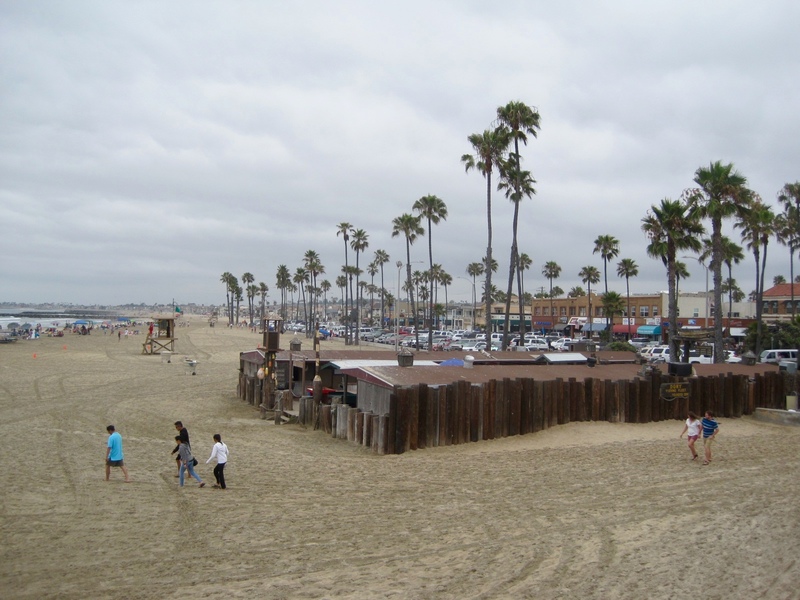 From there we moseyed on down the highway to Newport beach. It took me awhile to get oriented as I never approached this beach from the south and it had probably been at least 25 years since I had last been in the area! 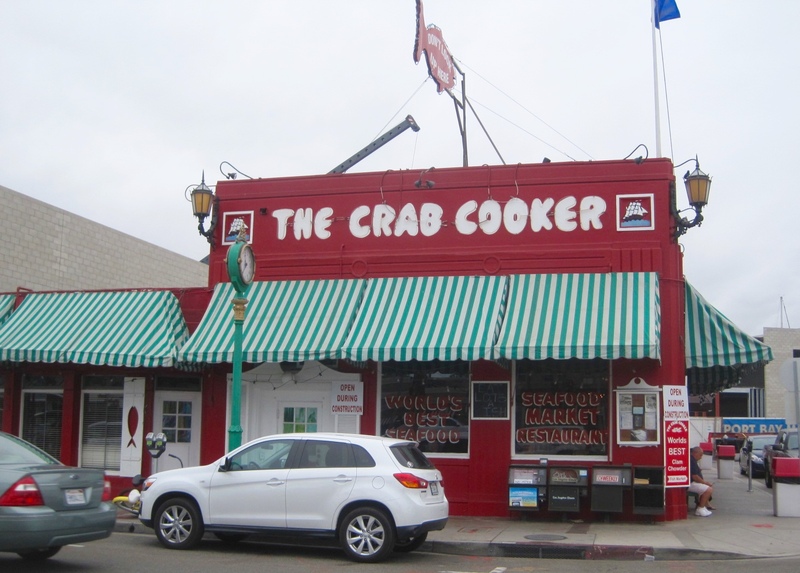 I started to see familiar landmarks like the Crab Cooker restaurant, a famous fish place that has been there since 1951. We found a place to park, now all pay meters where it once free, and headed out toward the pier. Now my spirit was bubbling with memories! I loved going to the beach. Family beach days when I was a kid, beach days with our church, getting invited to go to the beach with friends, even being lucky enough to be invited to stay with a friend at their beach house are all memories that sit well with my soul. What a day it was when me and my friends got our driver's licenses and could finally drive ourselves to the beach! 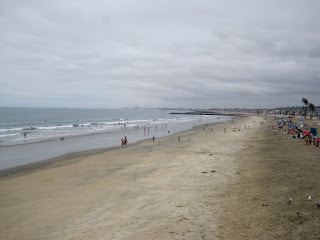 Hours were spent on these sandy shores, body surfing, sun tanning and taking in the surf and sun. Newport beach was a joy-filled part of my childhood and it was such fun to be back there with Doug. We walked out on the pier and were lucky enough to see Dolphins swimming very close to shore. 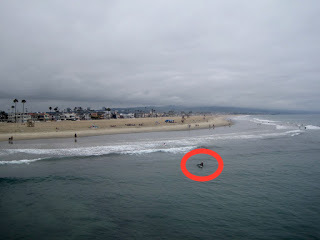 That's a dolphin in the red circle! I actually have no memory of seeing Dolphins in the water throughout my growing up years so it seems to indicate that things in the water have changed quite a bit. 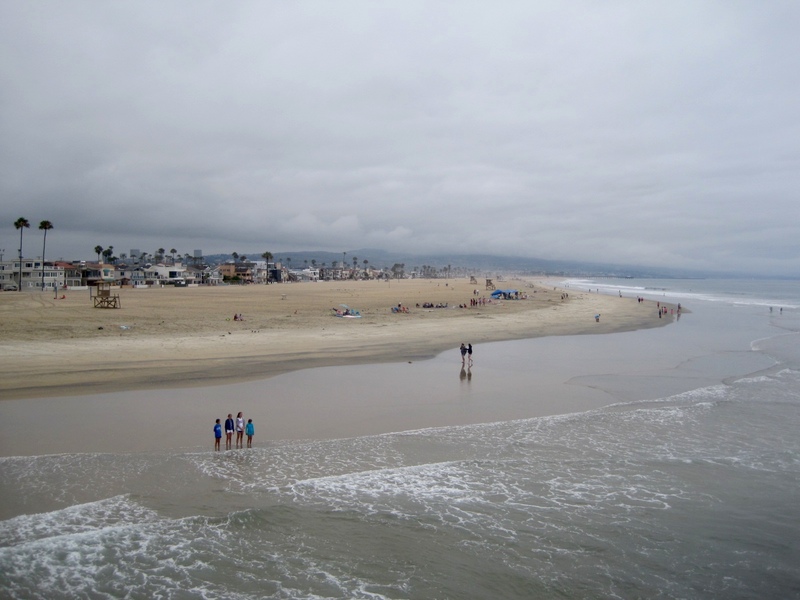 Even though it was a cloudy day, kids were delighting in the waves, building sand castles and burying one another in the sand! 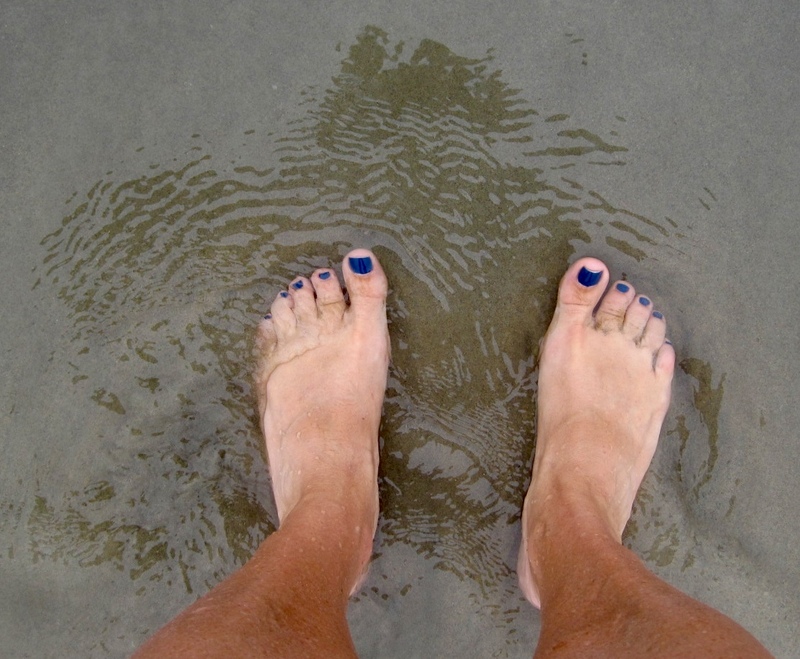 We took a nice walk along the beach, daring to put our feet in the water. It was cold but on a sunny day, I would love to venture in and enjoy the water. I wonder if I would still be able to body surf? It's been a very long time since I caught a wave! 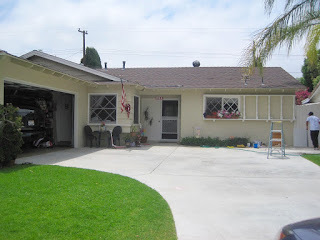 We wandered along the sidewalk, looking at rental properties. Perhaps next summer we can fulfill another childhood dream of mine...to rent a beach house within walking distance of that big, beautiful sandy beach called Newport. We decided that we'd better try to beat the traffic and head for the desert. Beating traffic is a full-time sport here in Southern California and one that I paid attention to even as a kid coming home from the beach. We took the exact same route that I followed so many years ago even though it looked so very different from the days I was pounding that pavement a few times a week. The highway that takes us out to Palm Springs is literally 5 minutes from the house I grew up in so I asked Doug if we could pull over and take a look. I drove past it at first! The person living in the house was home so we chatted a bit. She is a renter. It seems that the same guy who bought it from my folks in 1989 still owns it as we knew someone bought it for rental property. It looks great. Again, seeing the yard made me think about the countless baseball games we played on our homemade diamond! Looking around, I appreciated the families that surrounded us, so many staying there for 25 years like my parents did. And then it was time to watch the temperature rise as we headed east for the desert. 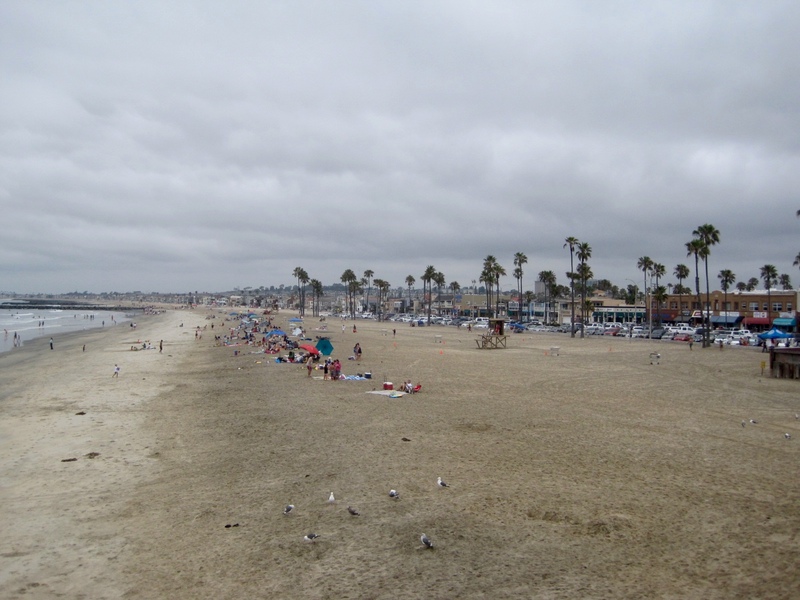 We left the beach in the 60's, saw it rise to the 70's near my old house, and landed at 102° by the time we pulled into our current home. All in all, our two day getaway was a real joy. 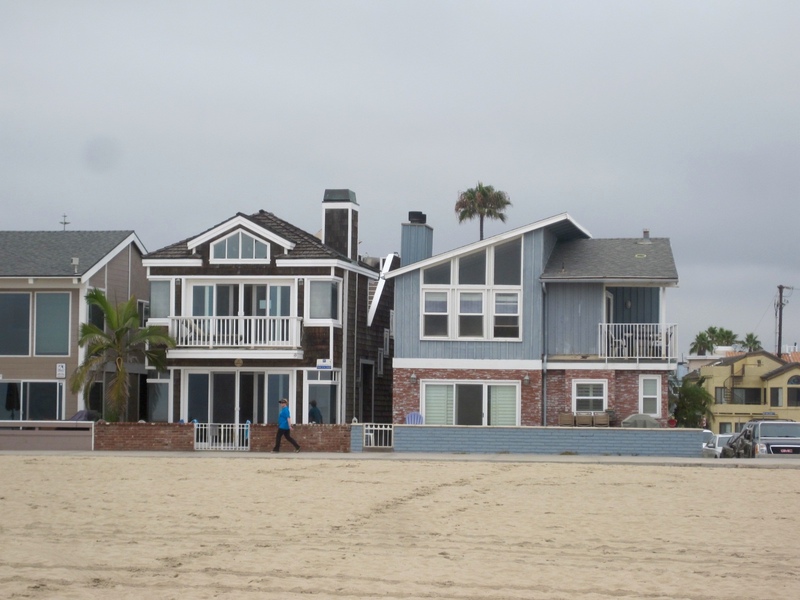 Being at the beach, showing Doug some of my favorite places from my growing up years, seeing the old house...such a sweet way to spend a summer's day.